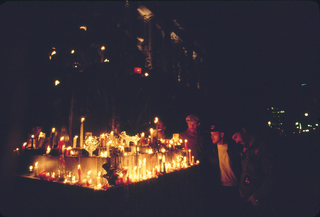 Image of people placing candles upon an altar of many candles. 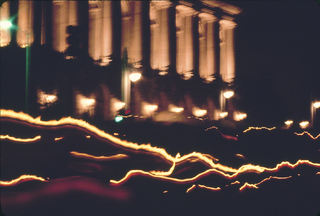 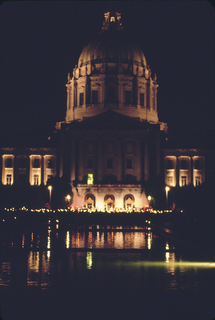 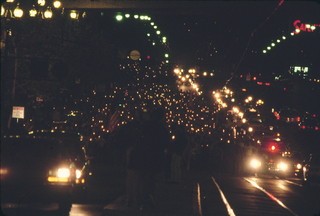 Image of the Candlelight March moving in front of City Hall. 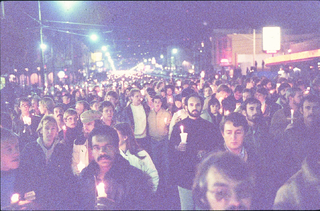 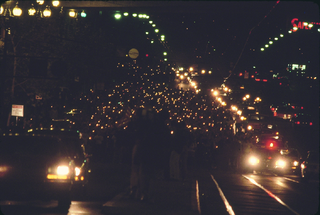 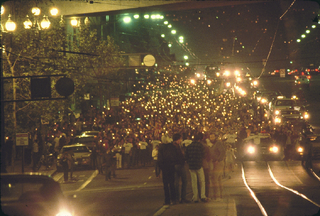 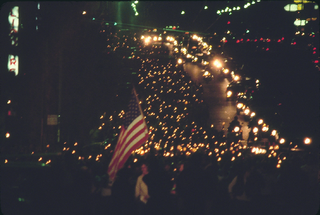 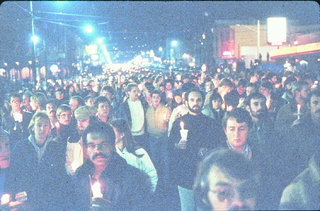 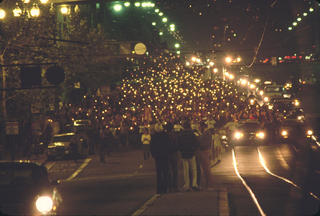 Image of people holding candles during the Candlelight March. 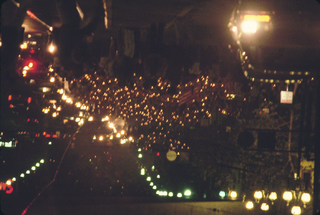 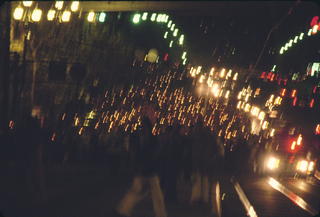 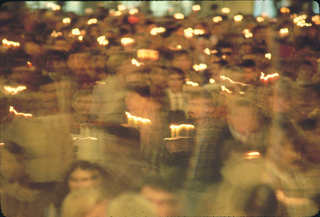 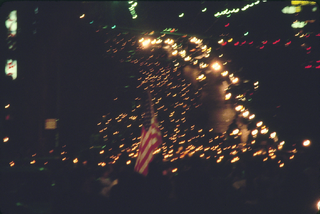 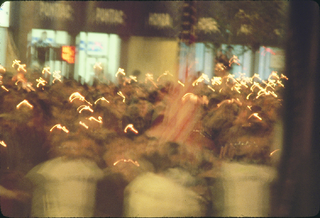 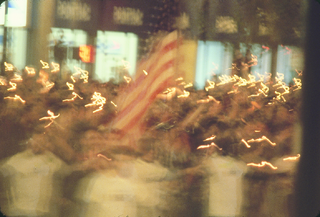 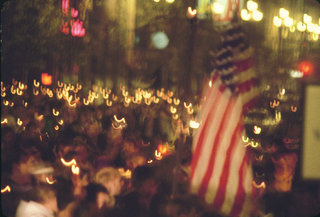 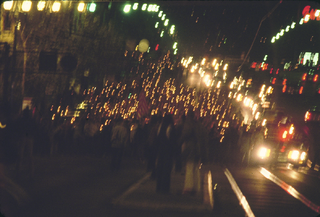 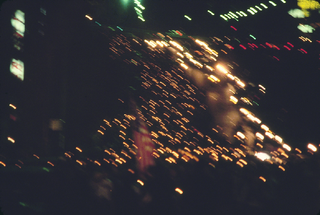 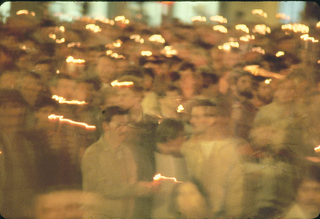 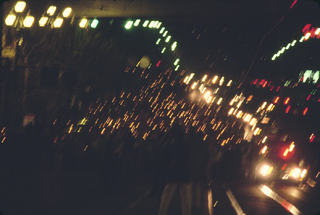 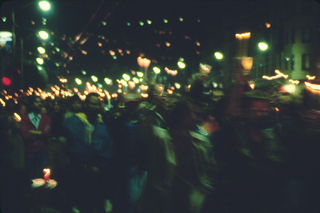 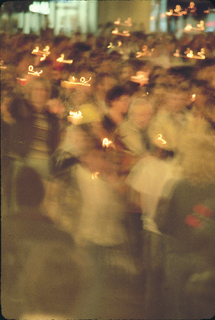 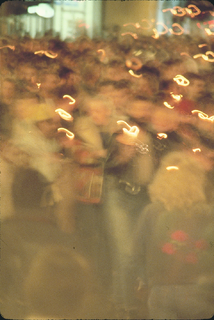 Blurry image of people holding candles during the Candlelight March. 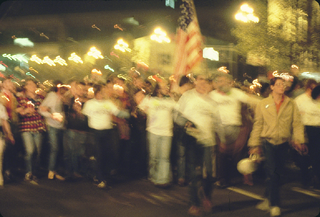 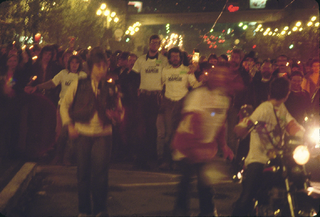 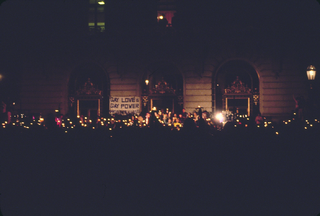 Image of the Candlelight March moving in front of a building with a poster that reads, "Gay Love is Gay Power." 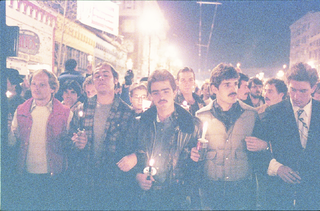 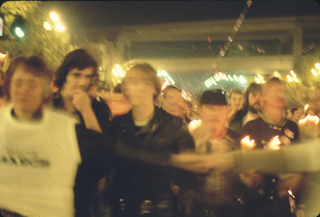 Image of men linking arms and holding candles during the Candlelight March.